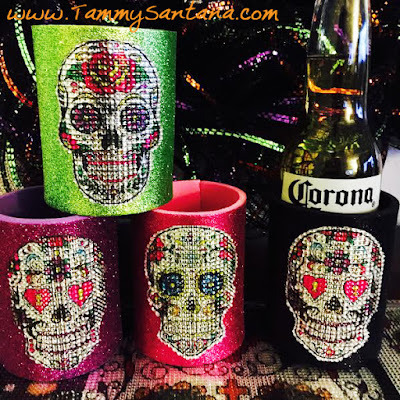 The first project I completed were these cute cool cups for my Halloween party. I just cut the large sugar skulls out of the sheet and adhered them to these glitter cool cups and I was ready to party! For my second project I made this cute Sugar Skull Halloween wreath. 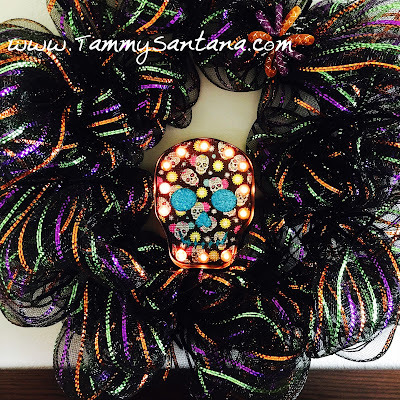 I used a wire wreath form and some black pipe cleaners to attach the wire mesh in 14 inch sections. 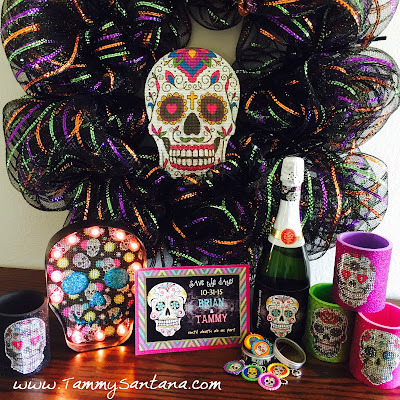 I cut out the large sugar skull and affixed it to some foam core for the centerpiece to this cute wreath for my front door. 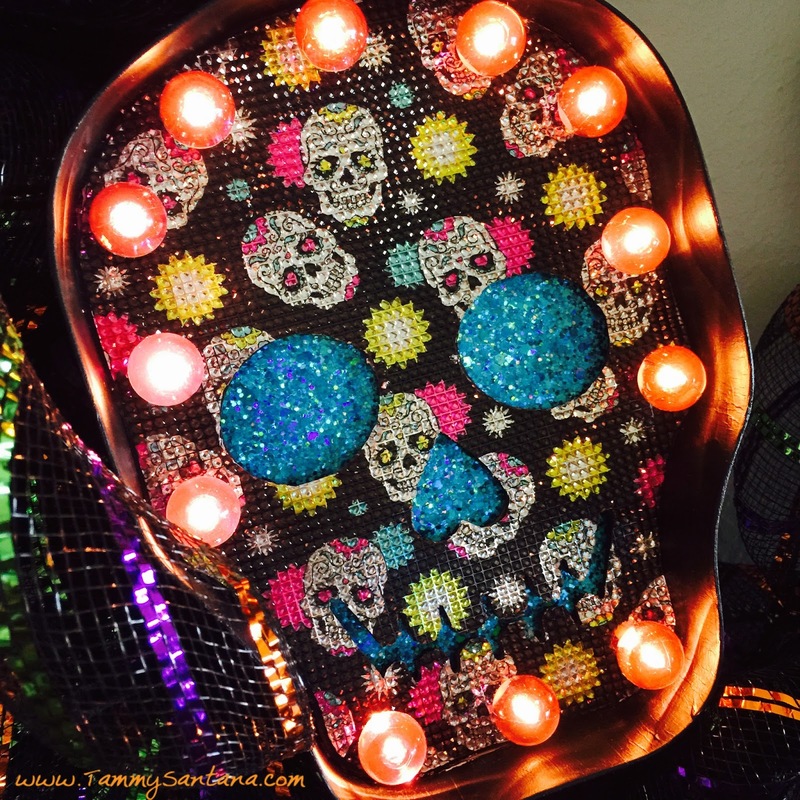 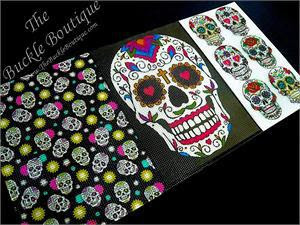 For my third project I used the Sugar Skull Rhinestones to decorate this Heidi Swapp Marquee Love Skull. I love how it turned out and it also gave me another centerpiece decoration option for my wreath. I love to see your project photos! 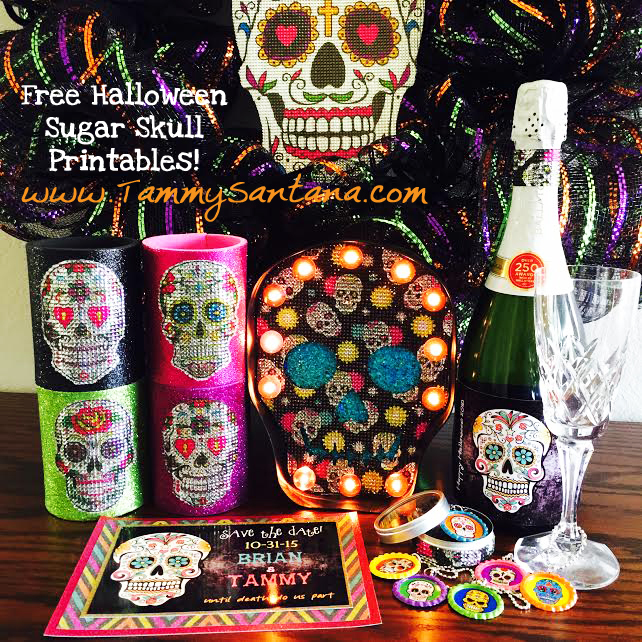 Tag me on instagram @tammysmithsantana :) Subscribe to my blog for more freebies!